Effluents emanate from cleaning vehicles, plant and equipment. All effluent is cleaned of pollutants and clean water discharged into municipal reticulation systems. The group endeavours to dispose of waste materials through legitimate contractors at certified waste disposal facilities. 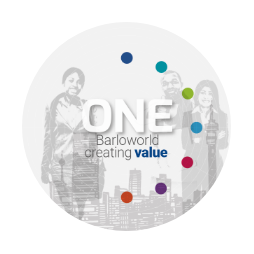 Barloworld is committed to responsible waste management, including disposal, with group aspirational 2020 targets set. While progress against targets may not be linear over the target period, it is monitored and reported annually as part of the group’s integrated reporting. The group does not generate significant volumes of waste. Both hazardous and non-hazardous waste streams are monitored by type, volume, disposal method and destination. The group is committed to reporting all waste by weight or volume to ensure consistency and comparability. A critical aspect of the group’s waste management and product life-cycle stewardship addresses extended product use. This includes ensuring products have a number of useful lives, facilitated in part through our remanufacture and rebuild programmes. To better understand our water use, and contribute to the knowledge and data on water use, we participated in the CDP's 2018 Water disclosure. Because water is a scarce resource, we are committed to more efficient water consumption through reduced use, increased recycling and water-harvesting initiatives. Most water is sourced from municipal and local government supply systems and legally discharged into these systems after required filtration and separation processes. Washing of plant, equipment and vehicles constitutes the company's major use of water. As such, water is not removed from the area of extraction and, after required filtration and separation processes, effectively all water withdrawn (2018: 588 ML or 588 000m3) is legally discharged back into municipal and local government systems. Consistent with identifying water consumption as a material aspect of its environmental stewardship approach, third-party assurance is obtained albeit only for billed water sourced from local municipal or government supply systems. The group does not generate significant volumes of waste. Both hazardous and non-hazardous waste streams are monitored by type, volume, disposal method and destination. Used oil and other waste are disposed of through certified contractors. We are in the process of analysing and refining our waste reporting, this includes engaging our internal audit services. While most waste is disposed of through formal waste disposal companies, some difficulty is experienced in remote locations where sourcing formal waste disposal companies remains a challenge. In these instances, waste is mainly disposed of through municipal waste disposal systems. As no waste disposal certificate is obtained, these are disclosed under self-disposal as per the table above. Volumes of solid waste recycled have improved over prior year as per table above. Total volumes of solid and liquid waste disposed through recycling was 403 tons and 2 052 KL respectively over the period. A group aspirational target has been set to have 100% of waste (solid and liquid) disposed of through formal waste disposal service providers by 2020. No significant spills occurred during the period. There were minor spills during the year. The necessary remedial action and precautions have been implemented to prevent such future incidents. Where applicable, the incidents have been reported to the relevant authorities. All of the spills had no significant or long-term impairment of ecosystem function or surface / ground water resource. All incidents were properly attended to and in all instances the relevant response mechanisms and processes functions as intended. All hazardous waste, the volume of which is reflected in the above table, is removed by appropriately formal waste disposal service providers and where necessary treated prior to disposal. Our Logistics business moves hazardous waste on behalf of SmartMatta, our environmental solutions business. During the 2018 financial period, a total of 3 988 tons (2017: 1 967 tons) of such waste was transported without incident. No waste was shipped internationally during the year. No water bodies were affected by runoff and discharges, hence no biodiversity was affected. All water run-off is treated appropriately prior to discharge back into the municipal and local government water system.